If you intend keeping pigeons for whatever reason, there are some basic things you need to know and there are supplies you need to have in order to sustain your interest and the wellbeing of the pigeons. Be sure the bird you choose is a healthy one. A sick bird is no bargain no matter what the price. In most cases by the time a birds shows symptoms of sickness the illness is quite advanced. Do not choose birds who make clicking sounds when breathing or whose tail bobs with each breath. 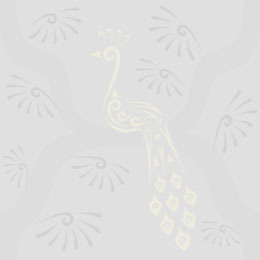 A bird who appears tired, ruffled or droopy, or who hides its head under its wing is a sure sign of an unhealthy bird. Avoid birds who are sneezing, sitting on the bottom of the cage or who have discharge above the nostrils. Droppings stuck to a birds tail feathers is not a good sign of a healthy bird. A healthy bird will have lots of energy and will eat often. It will be bright eyed with clean shiny feathers. Take caution when introducing new birds to the birds you already own. Many birds can be carriers of contagious, disease causing organisms. Placing these new birds in an isolated room for a period of time is recommended. Keep in mind that birds are exquisitely sensitive to toxins, especially those in the air they breathe. Things that smell strong to humans can often kill birds. The type of pigeon supplies you will need will in part depend on the type, and number, of pigeons you are going to raise. If you are bringing home just one ornamental pigeon your set up of pigeon supplies will include a cage, food and water, and cage cleaning supplies. If you are looking to start breeding a large group of homing pigeons you are going to need a loft, a larger amount of food, a method to clean the loft, nesting boxes, perches and training apparatus. Food and water bowls should be cleaned daily. A thorough cleaning of the cage should be done at least once a week to prevent disease and illness. Most of your pigeon supplies can be obtained via a pet shop or a shop that specializes in pigeon supplies. Food supplies should consist of a high level of dried peas, a low ratio of corn, and an adequate mix of hard wheat, milo, and other wheat based ingredients. The food should not include insects, meal worms, or snails. Pigeon clubs are local or national organizations dedicated to the purpose of celebrating pigeons, their owners, and the events associated with pigeons. For pigeon fanciers, clubs are more than a means of socialization but are also a necessary and convenient method of finding and distributing pertinent information. Some pigeon events require that all participants become a member of the pigeon club in order to be permitted to participate while some events are hosted to create awareness and to popularize the sport of exhibiting fancy pigeons thereby attracting new members. The National Pigeon Association in the United Kingdom is perhaps the most important and largest of all the pigeon clubs. This is the organization that determines and publishes the standards for everything from breeding and show requirements to the requirements for the pigeon clock used in today’s pigeon racing. 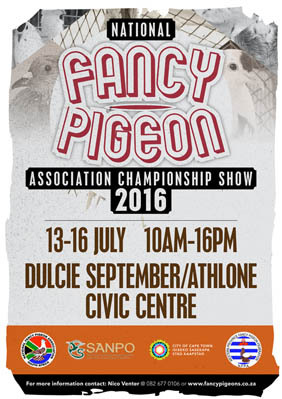 The National Pigeon Association is also the pigeon club that brings the largest annual pigeon show to the country. Every year, the location for the venue is changed, but the thousands of attendees generally find a way to make it no matter where it is being held. Pigeon shows are a time for pigeon fanciers to get together and show off their unique and fancy pigeons in a competitive atmosphere. A pigeon show is dedicated to finding the breed of pigeon that most closely resembles the standards which have been set forth. There is a winner for each category of pigeon, and of course; a rigorous judging experience to determine that winner. Before you enter the pigeon show, you have to spend ample time training your pigeon to sit in the standard competitive positions, be touched and handled by judges, and to tolerate the stress of the atmosphere. Well trained and well socialized pigeons tend to handle the stress very well while under trained and under socialized pigeons tend to get very upset. When you arrive at the pigeon show you will be assigned a showing location and you will want to make sure that your pigeon or pigeons are looking their absolute best. Clean their feet and make sure that there are no loose feathers. Many pigeon fanciers have dedicated supplies to help keep their show pigeons looking top notch and performing admirably. Pigeon shows also offer a good opportunity to meet with other pigeon fanciers and to learn more about the breeds of specific pigeons. Many people who are merely considering getting into pigeon keeping attend shows and ask a lot of questions. As a pigeon fancier, this is a great opportunity to show off your birds and help someone else make a decision about which type of pigeon is best for them. The social aspect, the competitive atmosphere, and the fun keep pigeons and their respective humans returning year after year.